Easy access to the tools needed by sign makers and car wrappers. 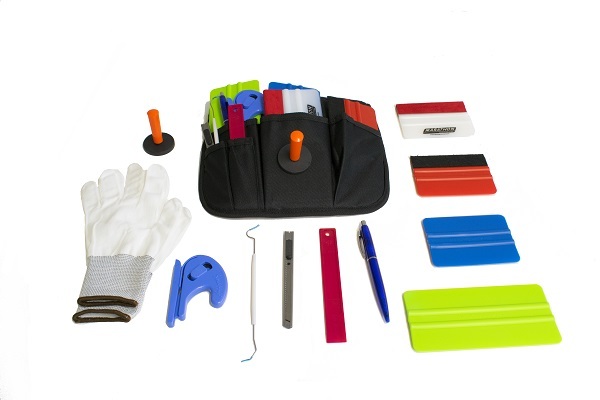 Different pockets for squeegees, gloves, cutters, lift stick, snitty cutter, rivet brush, popping pen y handle magnet. On the Tool Bag (Grey) it is possible to use it with the belt clip or with the belt loop. No metal parts on the front to avoid accidental scratches on vehicles. 10 cm(4") Marathon Microfiber Squeegee. 10 cm(4") Daily Use Squeegee. 15 cm(6") Daily Use Squeegee. Card wrapping magnet (1 piece). A complete tool kit for professionals in the application of vinyls and sign makers. 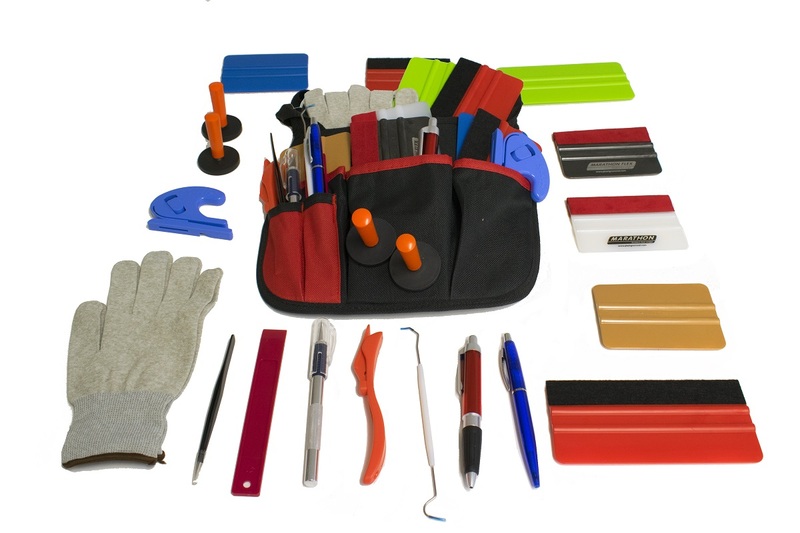 In our tool bag kit PRO you will find different types of specialized tools such as: cutter, gloves, lift stick, squeegees with two sizes, felt squeegee, snitty cutter, rivet brush, popping pen, weeding pen, tweezer, precision knife y 2 handle magnets. Our Tool Bag Kit PRO features a adjustable belt clip. Tool bag (red & black). 10 cm(4") Marathon Flex Microfiber Squeegee. 10 cm(4") Red Felt Squeegee. 15 cm(6") Red Felt Squeegee. Card wrapping magnets (2 pieces).